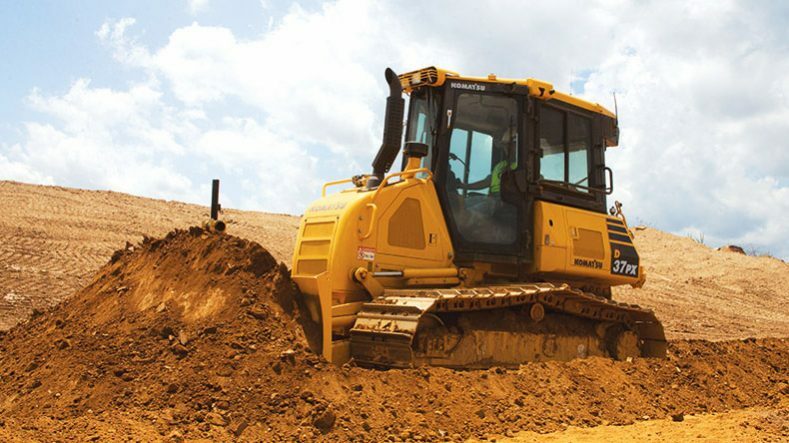 If you want to perform heavy dozing or accurate fine dozing while sitting in a quiet comfortable cab with unrivaled blade visibility, then you need the D37-24 Crawler Dozer. Equipped with an EPA Tier 4 Final certified engine, this dozer has the cab forward design improved blade response, faster work equipment speed, and an additional “fast-blade mode” that improves blade speed for high-speed grading. The D37-24 is extremely maneuverable by providing full power to both tracks during turns or counter rotation steering. It is an ideal choice for any grading or earth moving applications. Bore x stroke 3.75" x 4.52"